A Solar Protection Relay is used to connect embedded generators over 30kW to the grid. There are two main categories of Solar Protection Relays, these being Grid Protection Relays and Zero Export Relays. What is a Grid Protection Relay? A grid protection relay, sometimes called a grid-tie or mains protection relay, is a device that ensures the power quality is acceptable to be exported to the grid. These include under/over voltage, under/over current and frequency protection. Whats makes these suitable for embedded generators is the anti-islanding function in addition to power quality protection. Anti-Islanding is a type of electrical protection for embedded generators such as grid connected solar, wind or diesel. It ensures the generator disconnects electrical supply to the grid in the event of a blackout. Anti-Islanding protection exists to protect personnel and equipment connected the grid in the occurrence of a fault or maintenance. 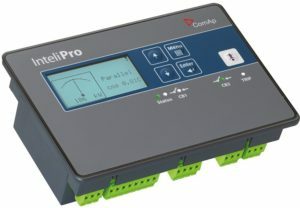 The InteliPro is a Solar Protection Relay used for Zero Export applications. 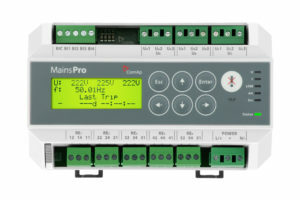 ComAp MainsPro is a Solar Protection Relay with the 'Mains-Disconnect' Function. What is a Zero-Export Relay? A zero export relay is similar to a grid protection relay as it has all of the power quality and anti-islanding protection functions. 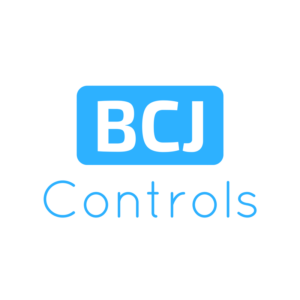 It has the added function of being able to monitor the current flowing and disconnect at a pre-set value. This ensures the embedded generator never exceeds the maximum export value allowed by the DNSP. Zero Export Relays trip the solar system when production exceeds the permitted amount. It's good practice to ramp the power down so that the site doesn't trip on days where the production may exceed load (eg. a school at the weekend). 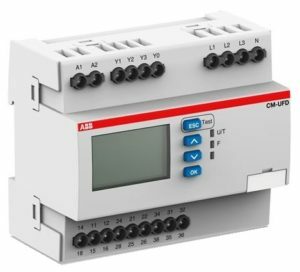 The ABB CM-UFD.M33 is a monitoring relay with multifunctioning grid feeding. It is able to trip the section switch connected between the distributed generation and the public grid allowing the distributed generation to disconnect in case of problems, faults, or grid maintenance. 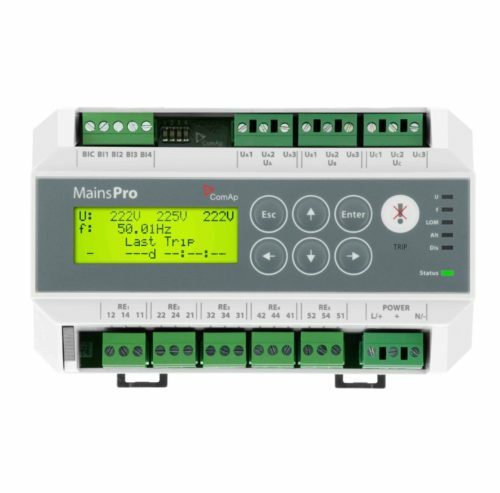 Additionally, monitoring of vector shift and ROCOF can be configured to trip the generation in a case of loss of mains. 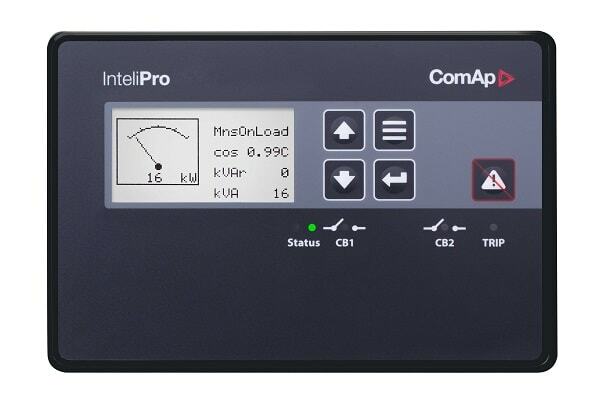 The ComAp IntelliPro PV is an interconnection and mains decoupling protective relay. Meeting the strictest utility interconnection requirements with its many protective functions. It is able to be used in a large range of distributed generation applications. The ComAp MainsPro solar protection relay is used for grid-tie applications. It provides anti-islanding protection as required by Distribution Network Service Providers for solar over 30 kW. The relay can be used with any embedded generator system. The ComAp MainsPro grants adjustable voltage, frequency, and loss of mains functions to safeguard the distribution network and the generators.